This paper presents a new approach to accessing information on the Web. FooCA, an application in the field of Conceptual Knowledge Processing, is introduced to support a holistic representation of today’s standard sequential Web search engine retrieval results. FooCA uses the itemset consisting of the title, a short description, and the URL to build a context and the appropriate concept hierarchy. In order to generate a nicely arranged concept hierarchy using line diagrams to retrieve and analyze the data, the prior context can be iteratively explored and enhanced. 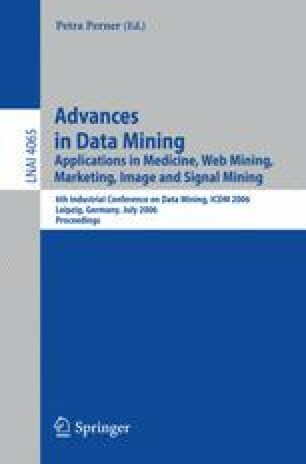 The combination of Web Mining techniques and Formal Concept Analysis (FCA) with contextual attribute elicitation gives the user more insight and more options than a traditional search engine interface. Besides serving as a tool for holistic data exploration, FooCA also enables the regular user to learn step by step how to run new, optimized search queries for his personal information need on the Web.